* 100% brand new . made of Genuine Real Leather material . * Deluxe Smooth leather design . Real leather experience , Noble and perfect . * Easy installation require no tools.Perfect protection and extend the life of the cell phone. * Access to all ports and functions without taking off the case. 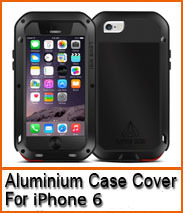 * Protection Proof - Against grease, cracks, scratches, abrasions, dust. * Suitable for gift giving , business , High quality demanders - preferred . * No worry about voiding your cell phone's warranty .